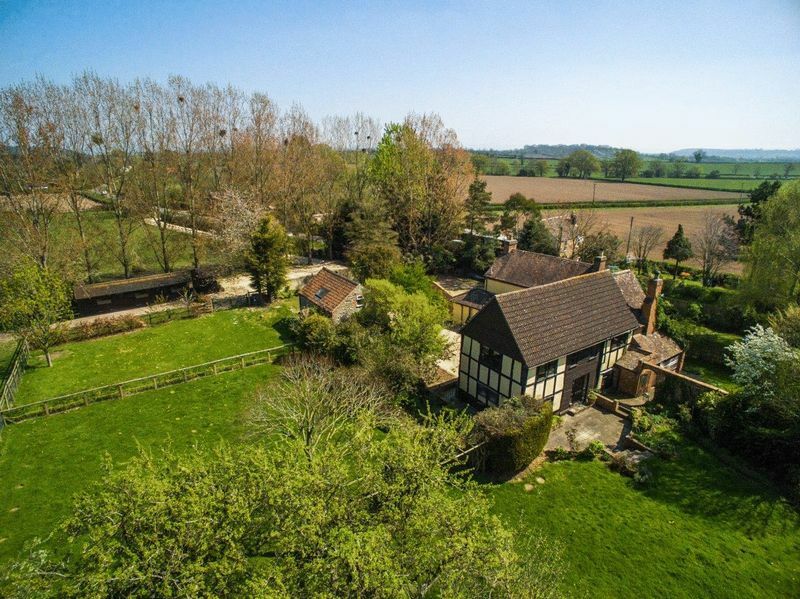 An Imposing Equestrian Property set in Approx. 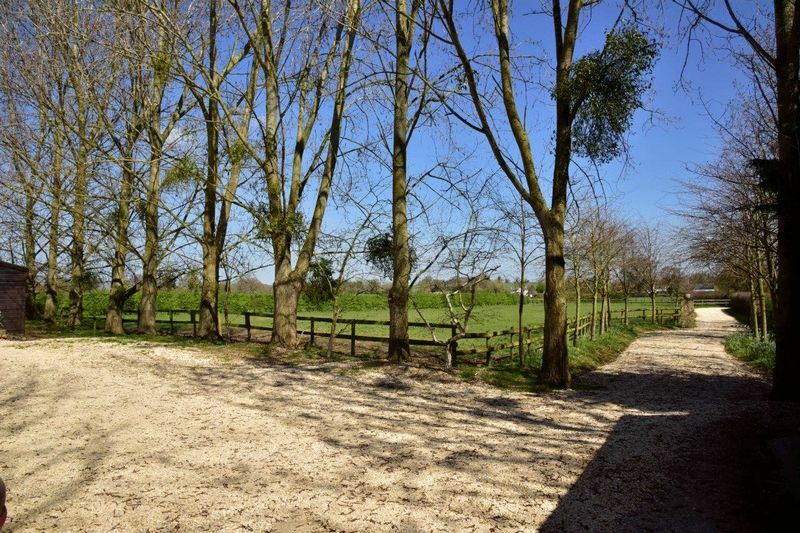 3 Acres with Stables, Paddocks, Menage and Orchards. 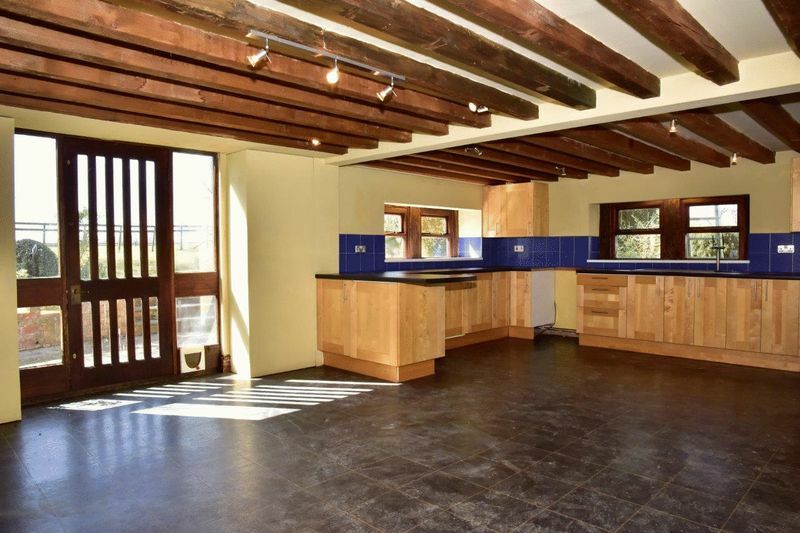 A Separate Barn Conversion with Planning Permission to Create a 3 Bed Contemporary Family Home. 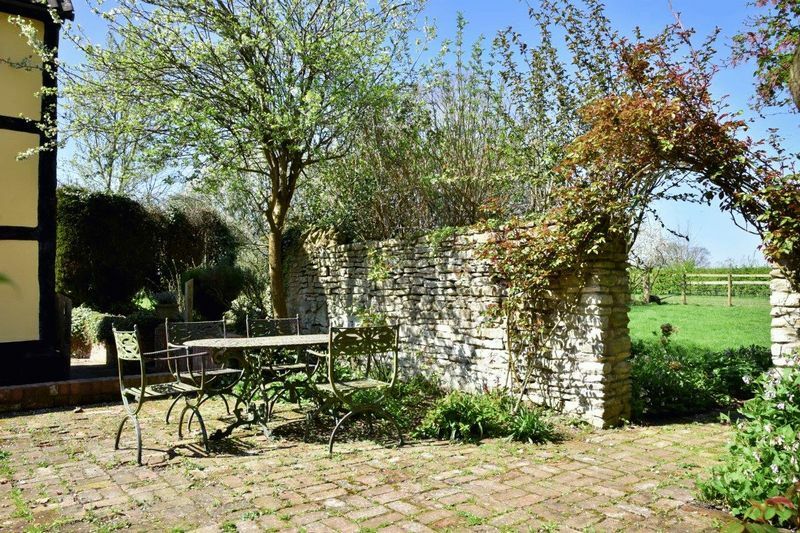 Both properties are set within Landscaped Gardens near the Sought-After Village of Redmarley, Gloucestershire. 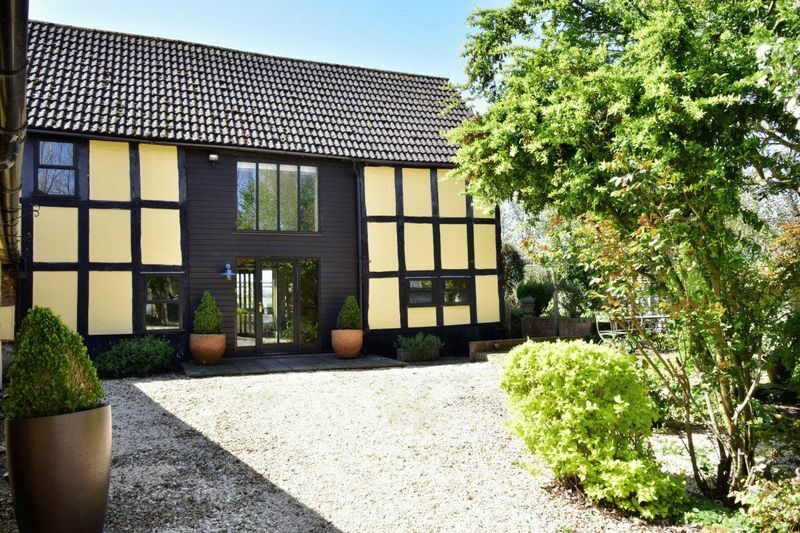 This imposing 3 bed character equestrian farmhouse is set within landscaped gardens, orchards and paddocks and has 3 loose box stabling. 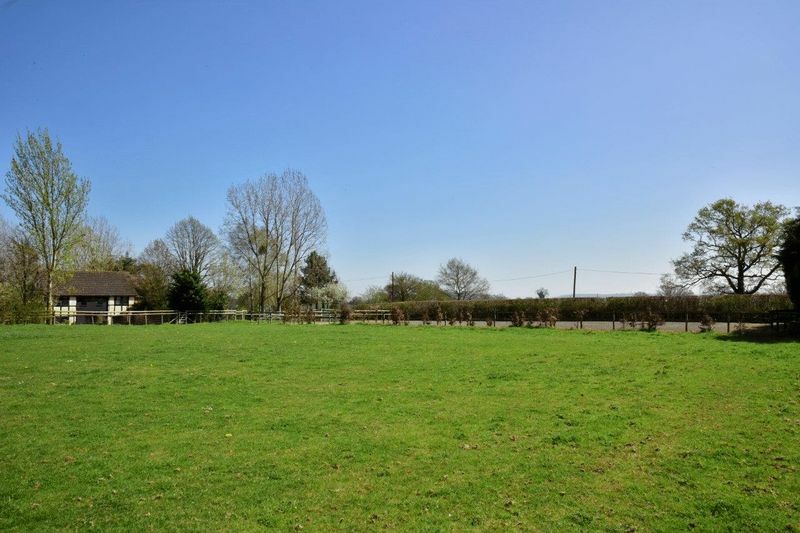 Full of character, the farmhouse is an ideal family home in a rural setting that provides access to nearby village of Pendock with a village store and Redmarley with a primary school. 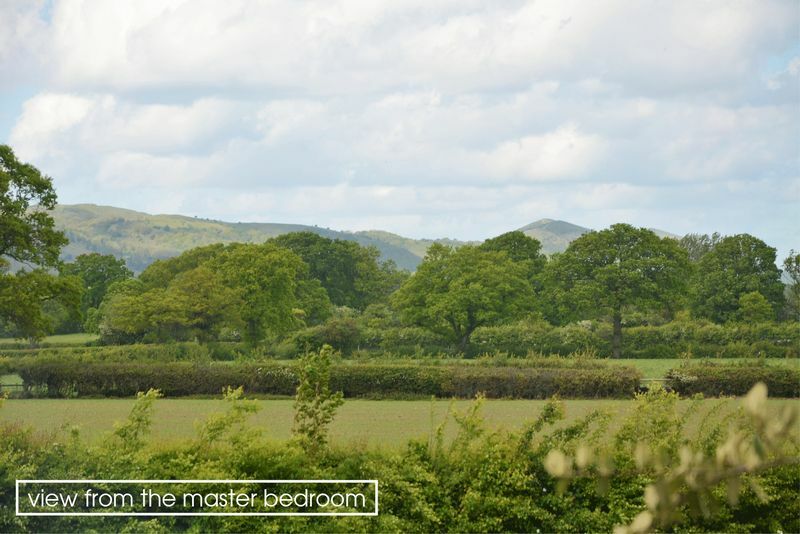 Ledbury is only 7 miles to the west and the M50 motorway is only 2 miles away providing fast access to the north and south. 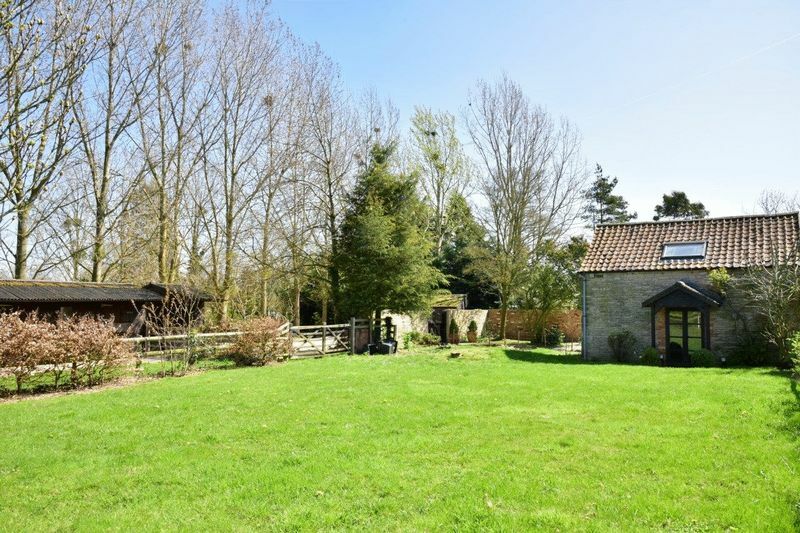 Barn Cottage comes with planning permission to extend and convert into a 3 bed family home in its own level gardens. 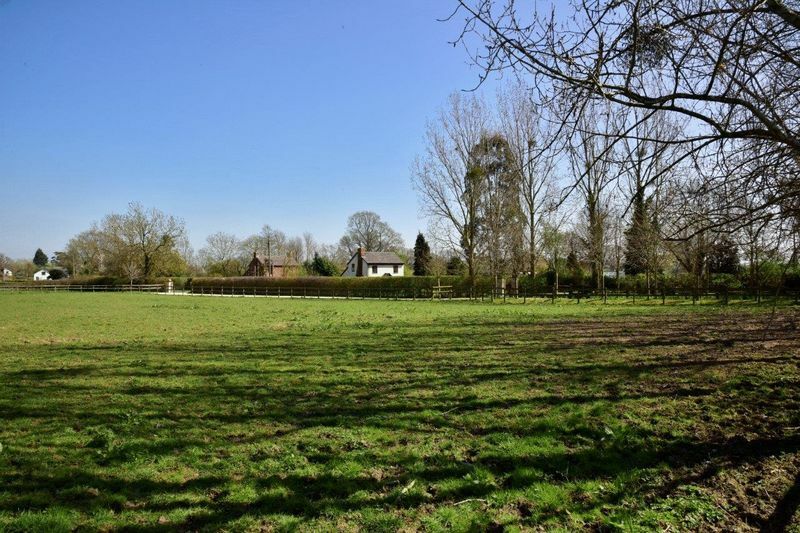 The property is in an idyllic rural location between the villages of Redmarley d'Abitot, which has a very popular primary school and Pendock, just half a mile along the lane, with its busy village store. 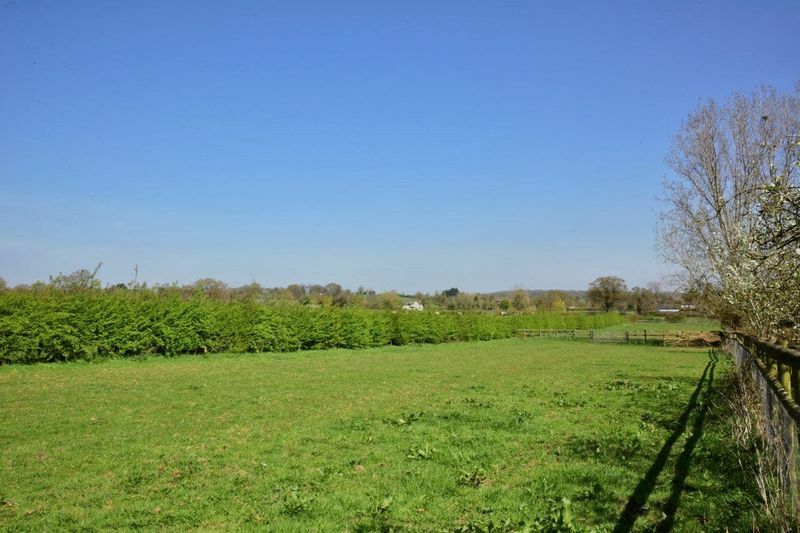 The M50 motorway is just two miles away, providing links to the M5 and the Midlands to the east and south-west to Monmouth, Newport and Cardiff. 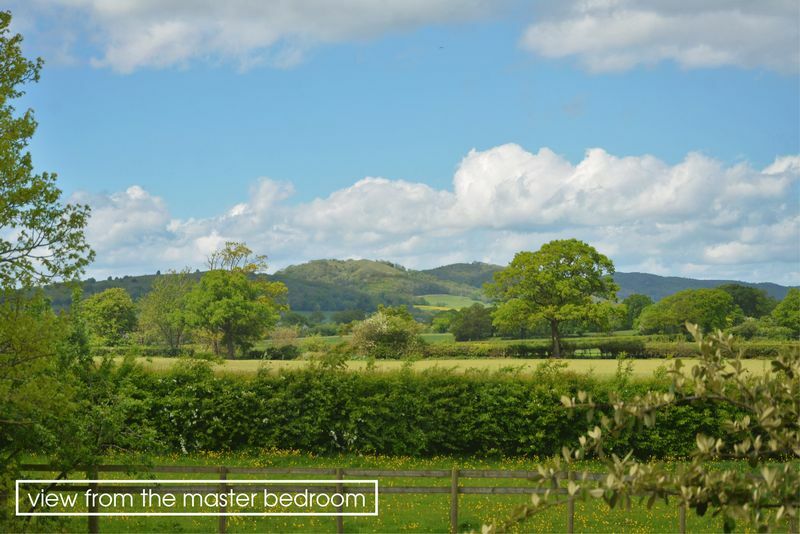 The market town of Ledbury, with a wide range of shops, amenities and a railway station, is six and a half miles north and the city of Gloucester, with more frequent rail links to London, is 11 miles to the south. 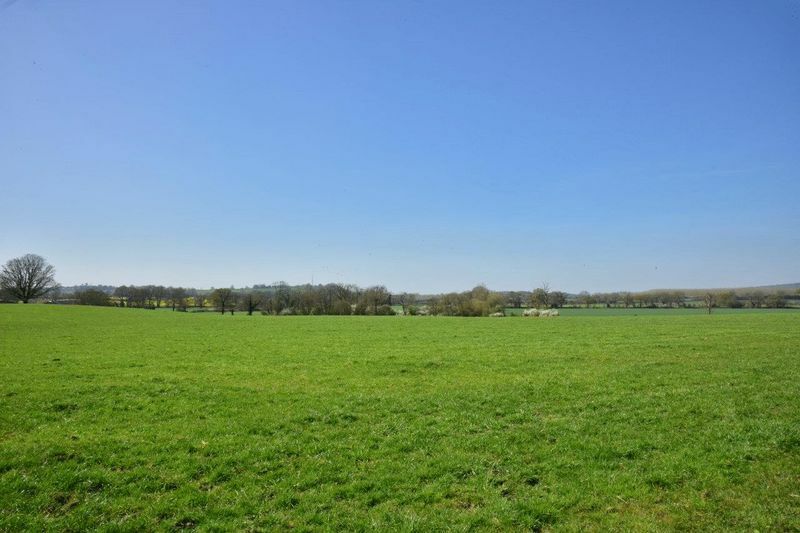 Cheltenham is a mere 16 miles away. 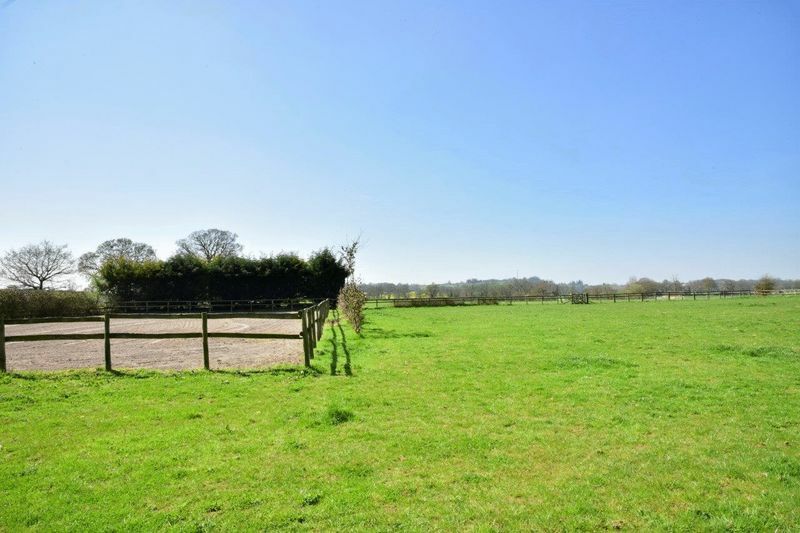 The renowned Hartpury College, with its world-class equine courses and facilities, is seven miles away. 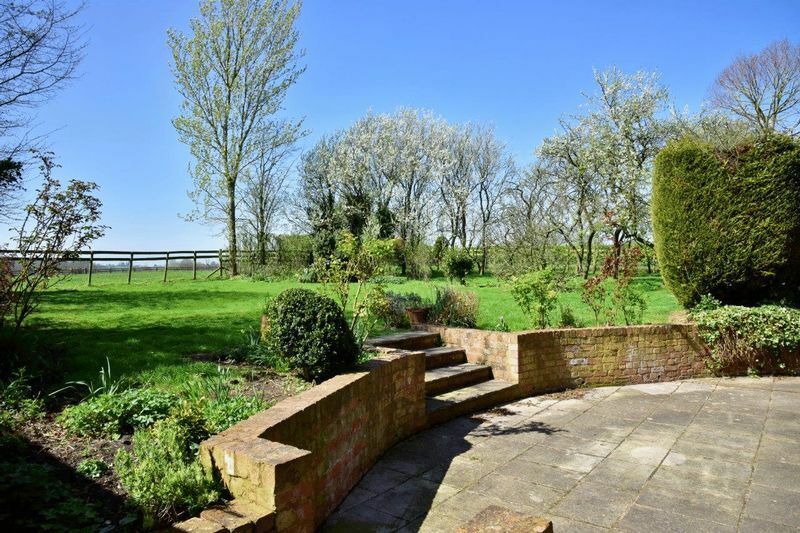 The setting offers a rural idyll without isolation. 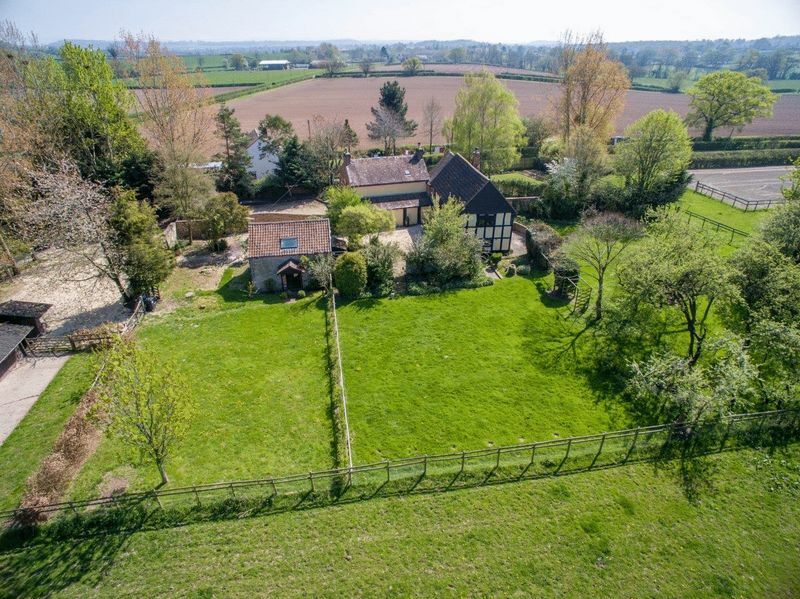 A pretty courtyard garden to the front provides an imposing entrance to this character farmhouse with outdoor seating and patio areas leading through to the gardens and orchards beyond. 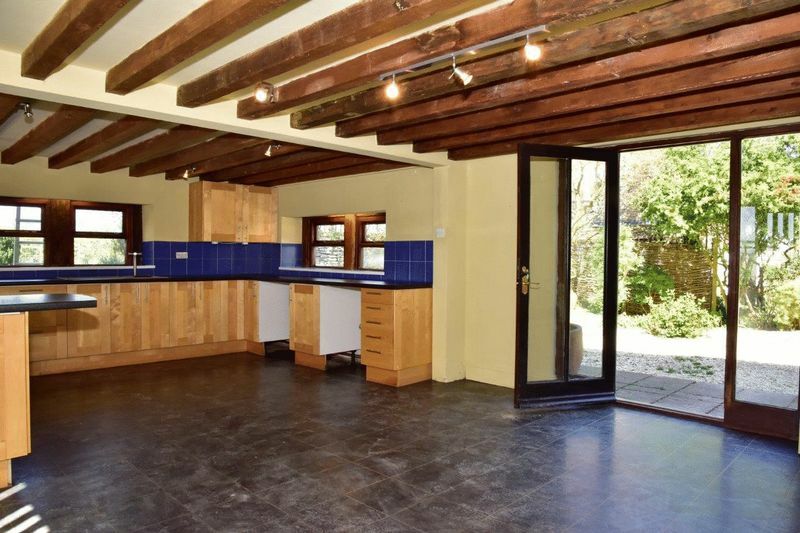 Entrance into a large open-plan kitchen/breakfast room with patio door through to the rear garden. 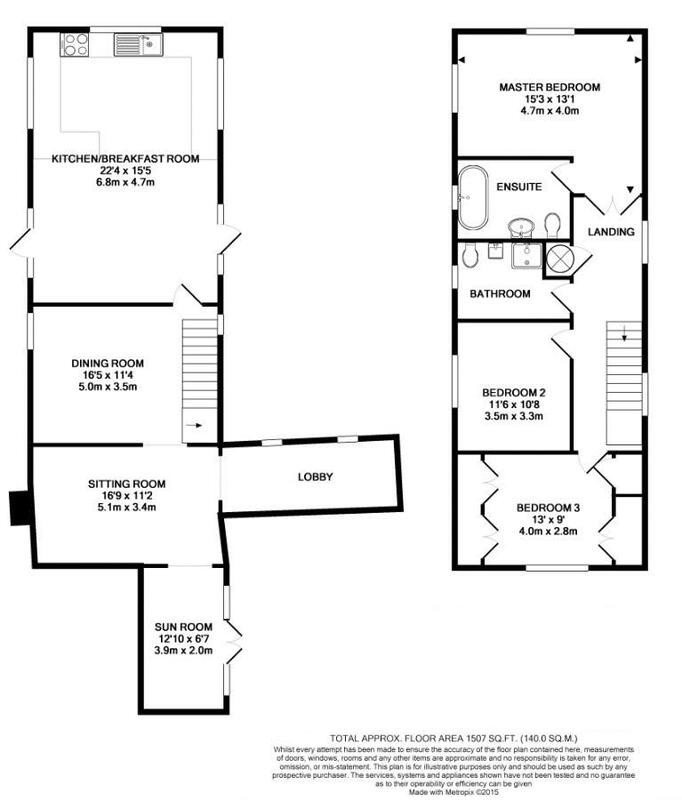 Slate-style tiled floor, base and upper units providing plenty of storage. 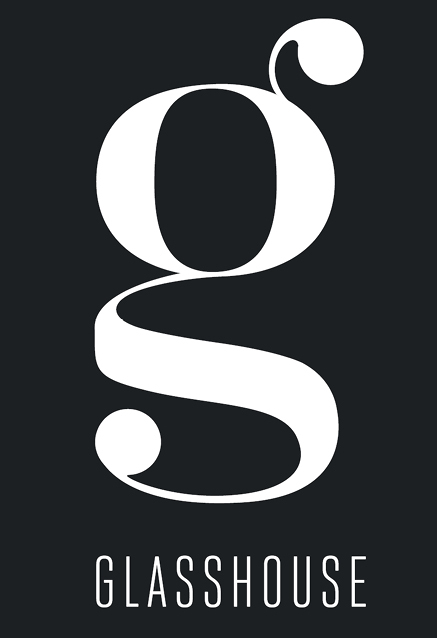 Plumbing for washing machine and dishwasher. Electric oven and large sink with mixer tap. 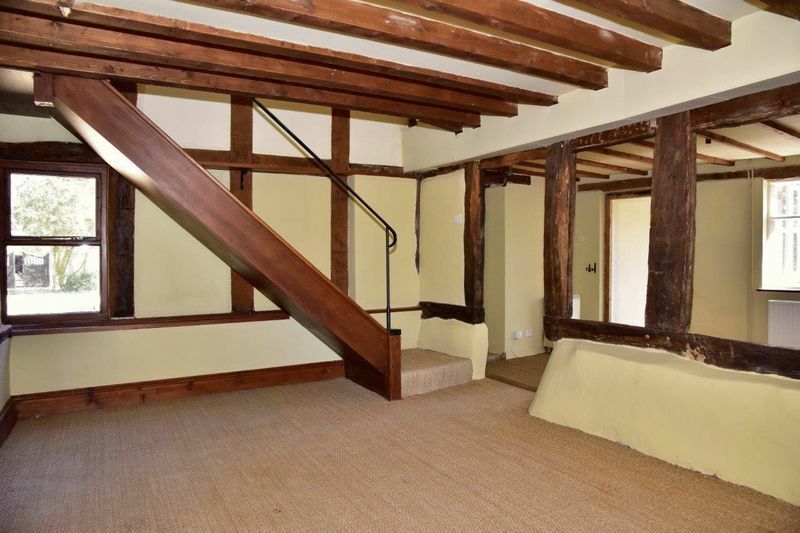 The property continues through to a dining room with sisal flooring, duel aspect windows through to the rear garden and exposed timber walls and ceiling providing plenty of character. 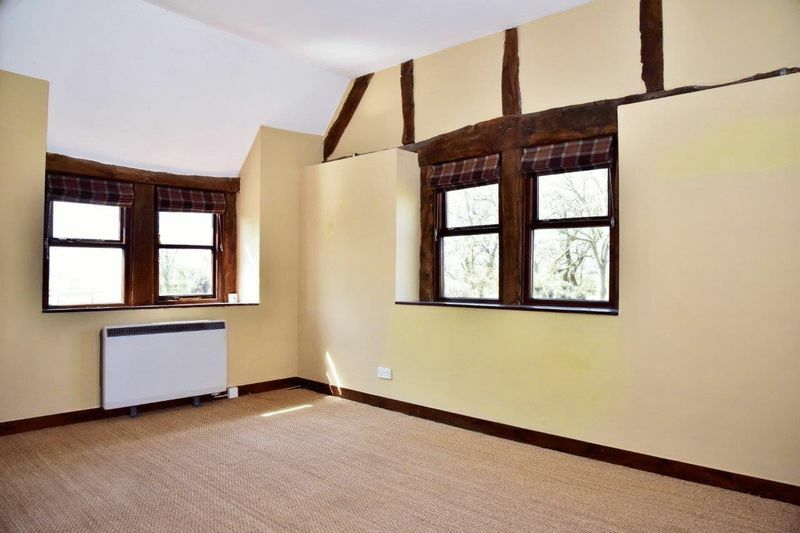 The sitting room is through an open timber framed wall with space for a log-burning stove within a beautiful exposed brick fireplace. 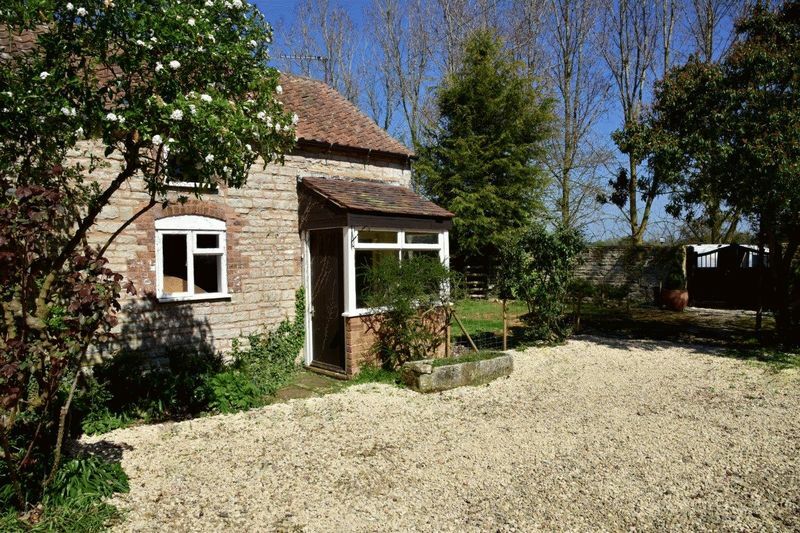 The original bread oven and decorative alcove have been retained to add to the character of this pretty farmhouse. 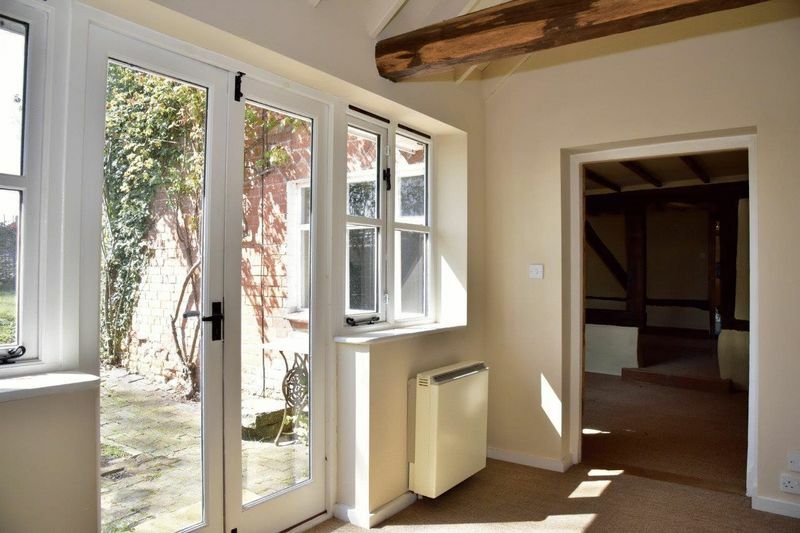 A garden/sun room is beyond the sitting room providing a bright and airy space to sit overlooking the rear gardens and adds more light to the far end of the property. 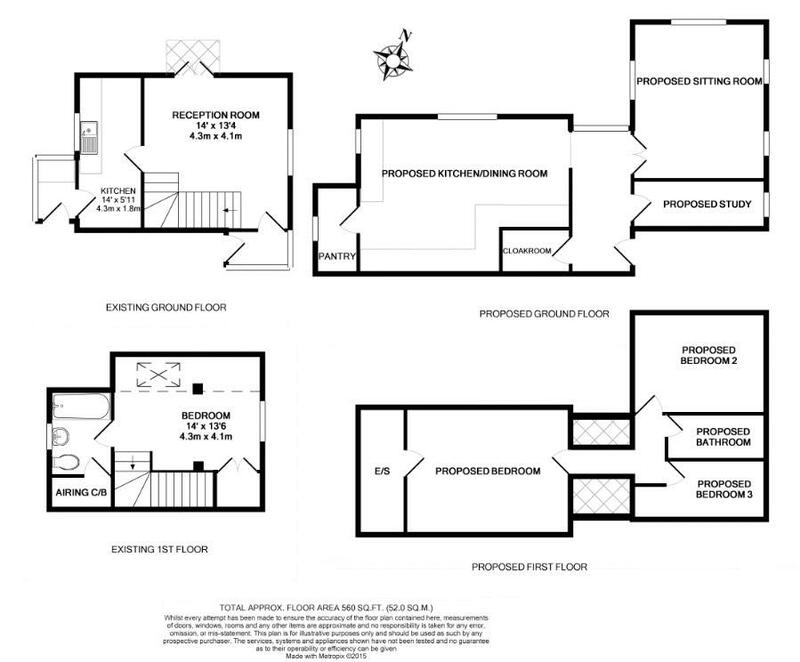 A galley hobby room with full height glazed windows with tiled flooring provides a useful office space or hobby area. 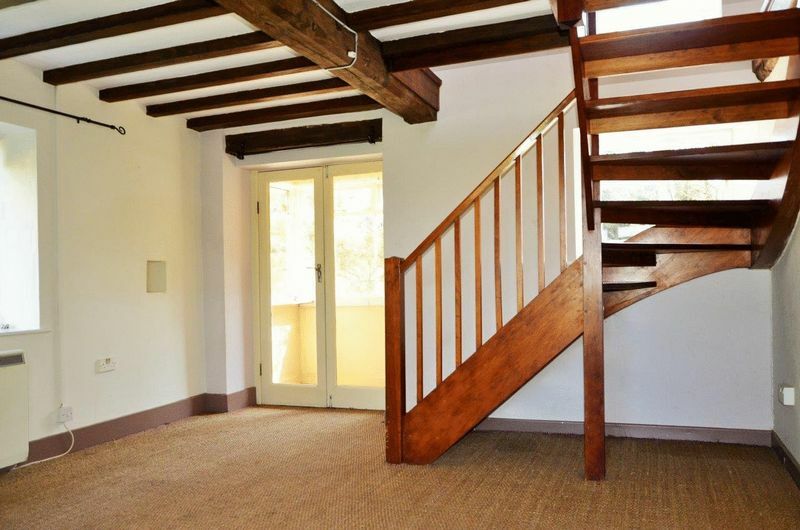 The staircase leads up to a bright landing area with large windows overlooking the front courtyard garden. 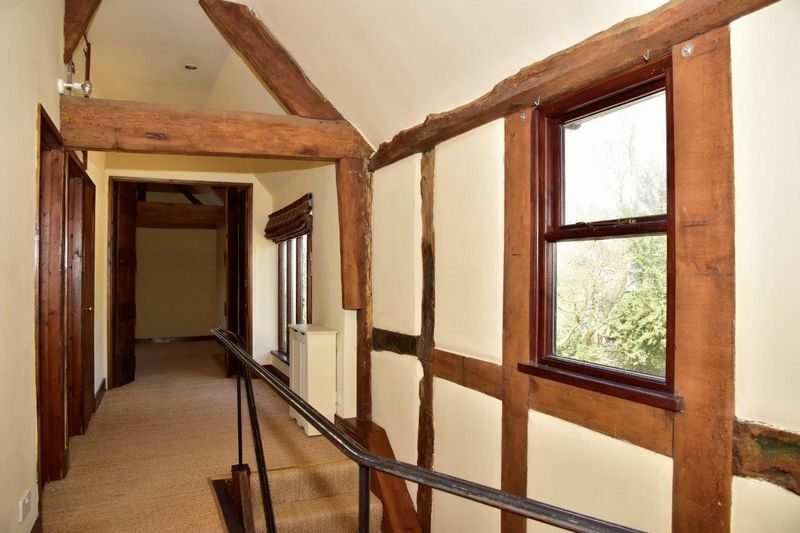 A master bedroom through concertina doors has duel aspect to the side and rear gardens, sisal carpet throughout and exposed beams and deep window sills add to the character of the property. 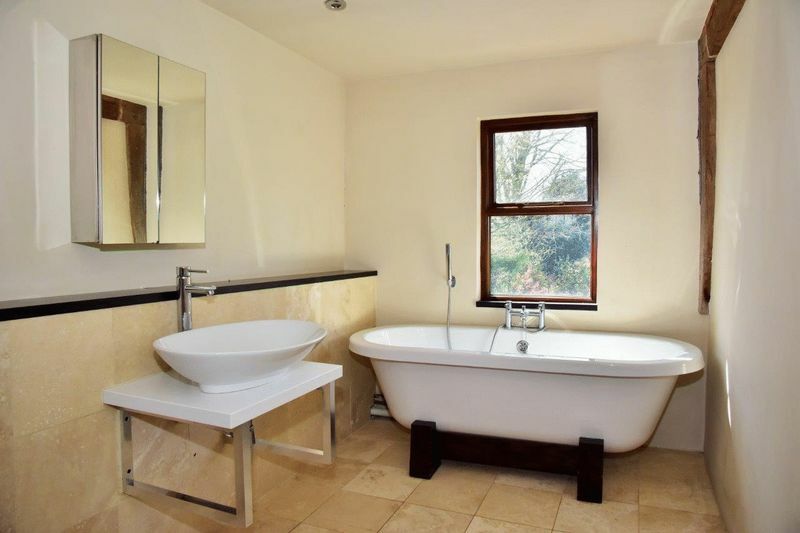 A tiled floor en-suite bathroom with freestanding bath and overhead shower, large sink and concealed cistern WC overlooks the rear garden which along with 4 downlights provides a light and airy space. 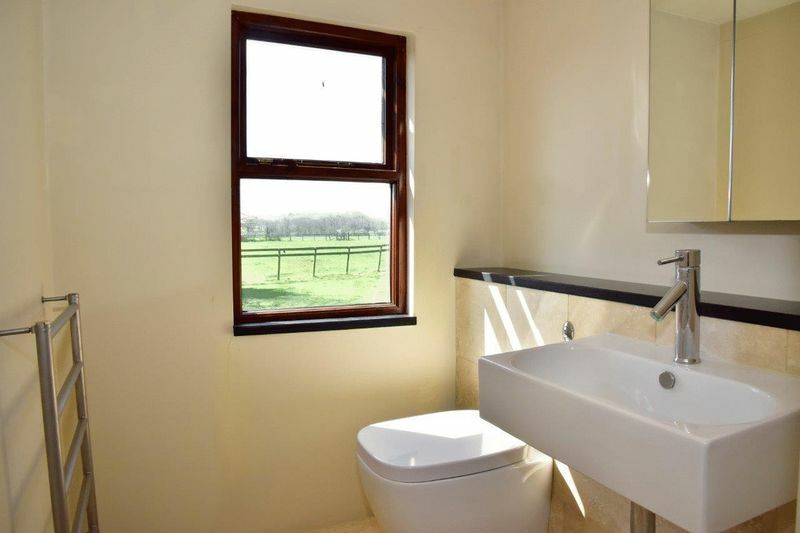 A family bathroom with tiled floor and rain-shower head with sink unit and pedestal WC provides a valuable second bathroom, ideal for families. 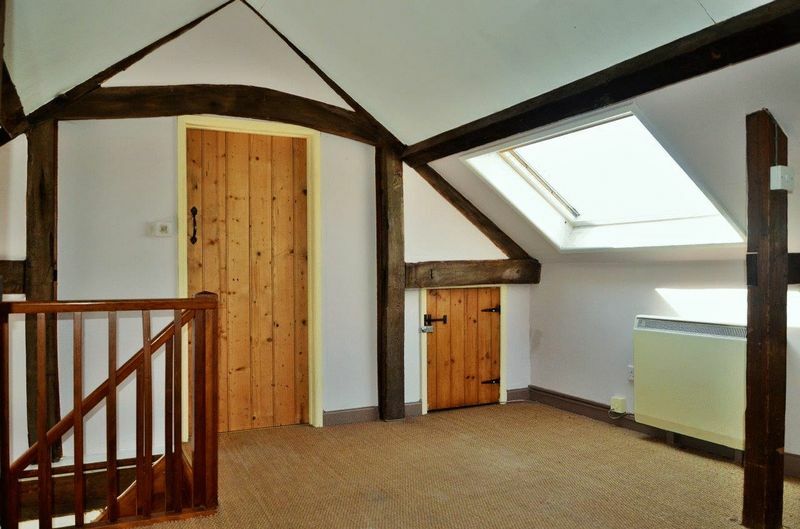 The second double bedroom with sisal carpets and window to rear garden has exposed beams and storage radiators. 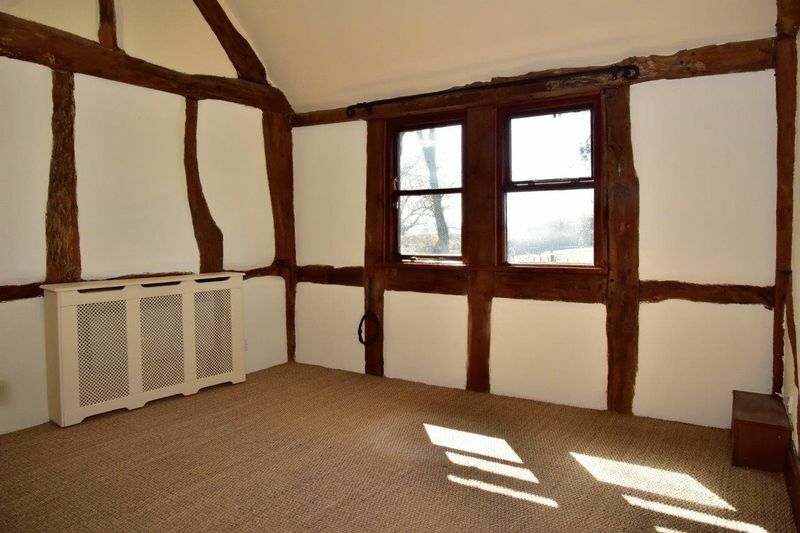 A third double bedroom is fitted along the length of the room with wardrobes and an added storage cupboard provide ample storage for clothes and linens. 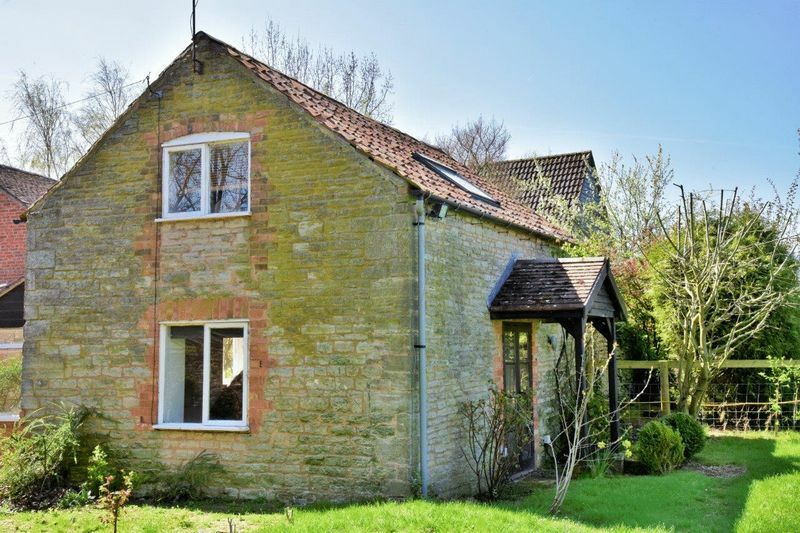 A detached character cottage, currently a rental property provides additional income or can be used as a holiday let. 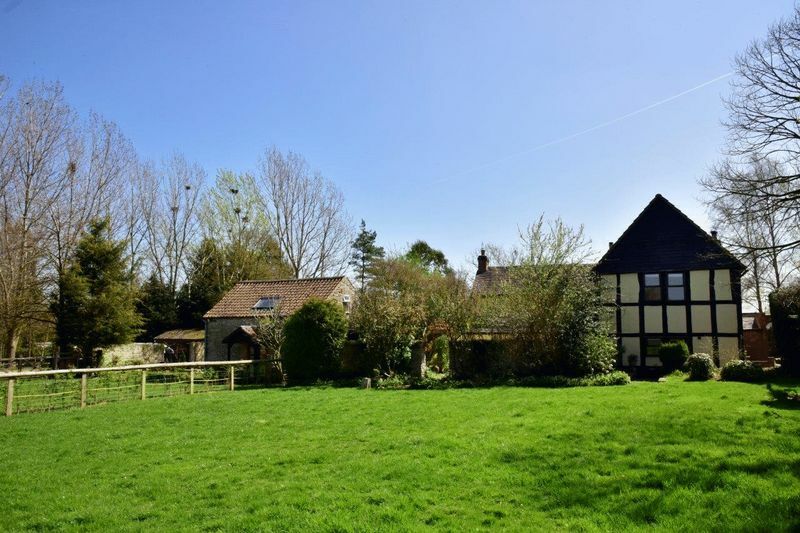 The cottage currently has planning permission to convert and extend to provide a contemporary and traditionally designed 3 bed detached family home with its own level garden. 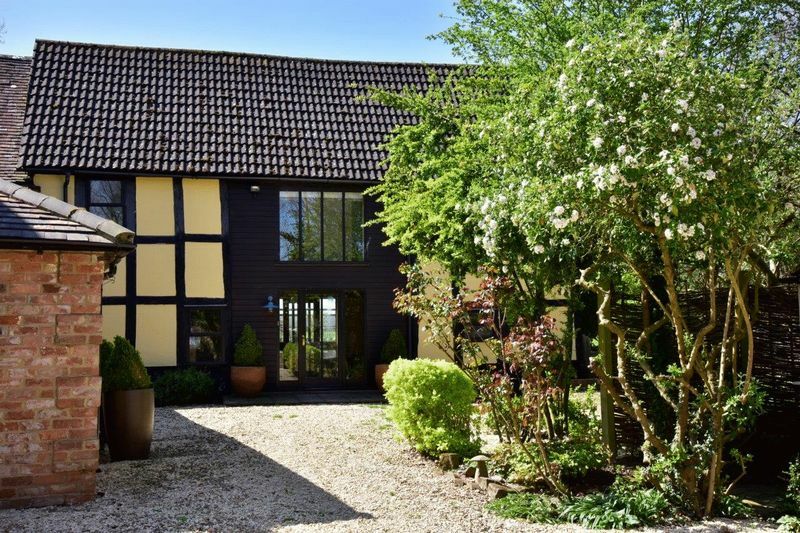 The gated entrance leads into the gravelled sweeping driveway and onto a separate private gated entrance to courtyard garden. 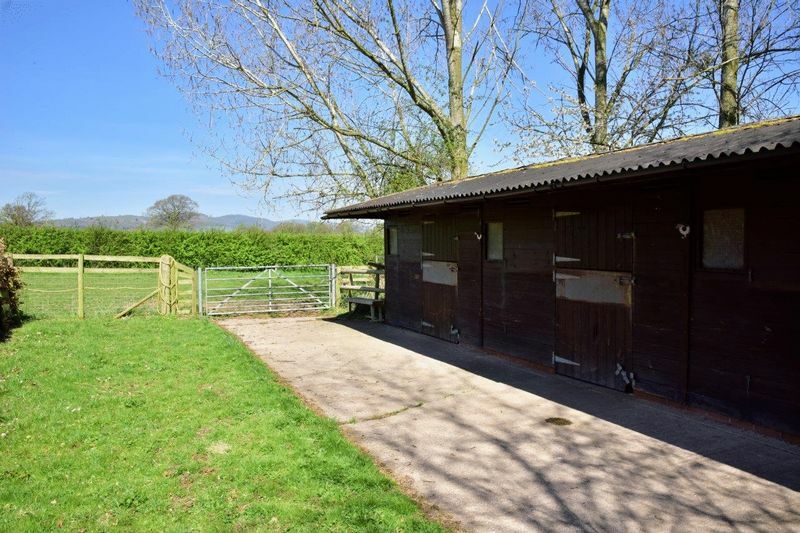 A detached double garage with storeroom or tool shed, a woodstore or further storeroom and 3 loose boxes providing stabling for horses. 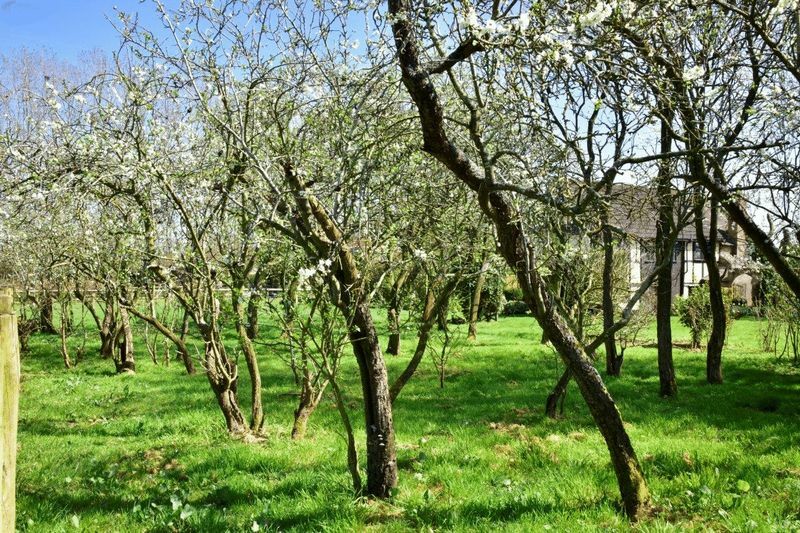 The courtyard entrance with seating area and leads through to the gardens and orchards to the rear. 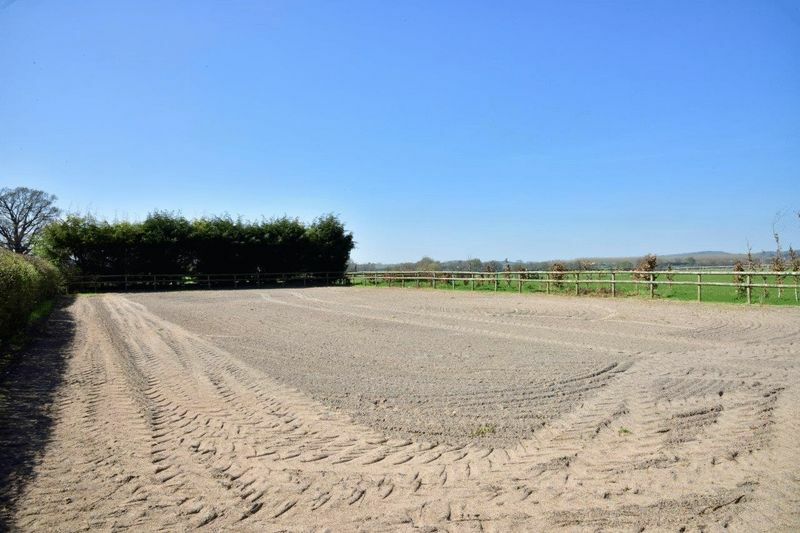 Paddocks can be accessed directly from the stables which wrap around the property, and a ménage to the rear makes this farmhouse the perfect mix of equestrian and family home. 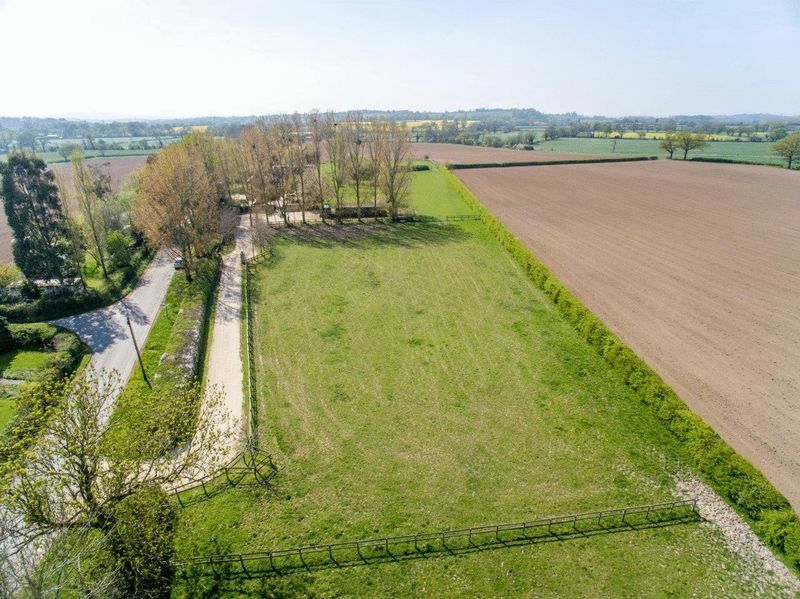 There is the potential to create a separate entrance for May Farm and the developed Barn Cottage providing some privacy if the planning permission is exercised. From the ring-road at Ledbury, head south on the A417 towards Gloucester and the motorway. Cross over the M50 and continue for 1 mile. Turn left towards Pendock for 1 mile. 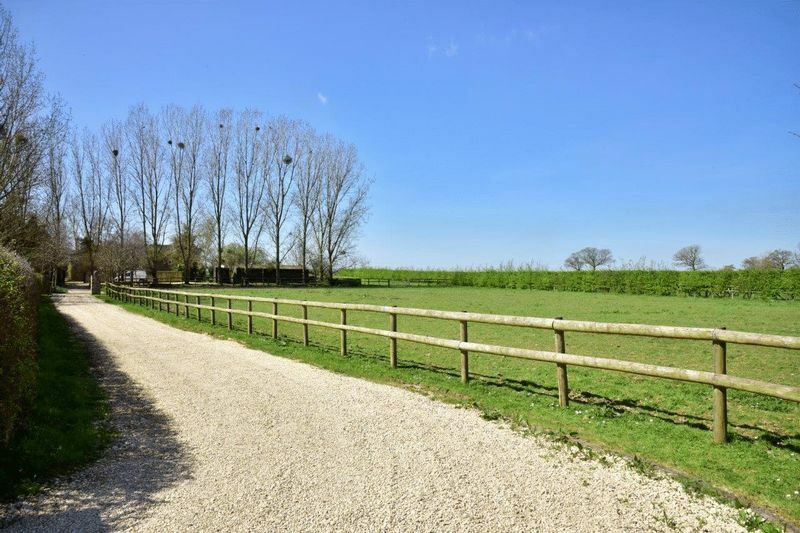 Turn left into the private driveway for May Farm and Barn Cottage.